Tháinig roinnt eagraíochtaí pobail le chéile san Uachtar Chluanaí le féile cheannródaíoch bunaithe ar shláinte agus ar fholláine a chur le chéile in 2017. D’oibrigh Glór na Móna, Foireann Óige Uachtar Chluanaí, Cumann Óige Chnoc Nua agus Ionad Ionad Acmhainní Frank Cahill le chéile le clár plódaithe a fhoilsiú. 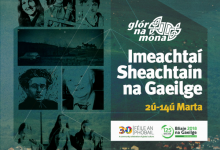 Is féile phobalbhunaithe seachtaine í Féile na gCloigíní Gorma lonnaithe san Uachtar Chluanaí in Iarthar Bhéal Feirste. Is ceiliúradh an phobail é Féile na gCloigíní Gorma ar an phobal féin, ar shláinte agus ar an timpeallacht áitiúil. Tá sé de rún ag Féile na gCloigíní Gorma dúshlán agus misneach a thabhairt chomh maith leis an líon is mó daoine áitiúla a mhealladh a chothóidh cultúr d’fhéinchuidiú, de dhlúthpháirtíocht agus de chomhoibriú daonna. Ba mhian linn spásanna a chruthú ina dtig le daoine áitiúla bheith páirteach agus ag déanamh athbhreithniú ar a sláinte, a dtimpeallacht agus ar an domhan thart orainn gan trácht ar tairbhe a bhaint as cuideachta daoine eile. Is tréithe de shaol an lae inniu iad iomaíocht, indibhidiúlachas, míchothromaíocht, ábharachas agus drochmheabhairshláinte. Inár gceantar, tagann bochtanas agus imeallú ó chóras míchothrom eacnamaíochta atá ag fulaingt níos mó de bhrí na coimhlinte, agus tá deacrachtaí meabhairshláinte anois ar fud an cheantair. Ba mhaith linne dúshlán a chur roimhe seo agus ardán sábháilte a sholáthar le go dtig le daoine ár nascanna stairiúla agus spioradálta lenár dtimpeallacht agus lenár bpobal chomh maith lenár ndaonnacht dhúchasach a chur faoi chaibidil. Cruthaíonn croí sláintiúil, intinn shláintiúil. Scaoileann dóchas síoraí nuair a aithníonn muid ár ngníomhaireacht agus ár bpoitéinseal le rudaí a athrú chun feabhais. Creideann eagraithe na féile seo go bhfuil an chumhacht ag pobal an Uachtair Chluanaí chun saol eile a thógáil, ceann atá á thógáil againn anois. 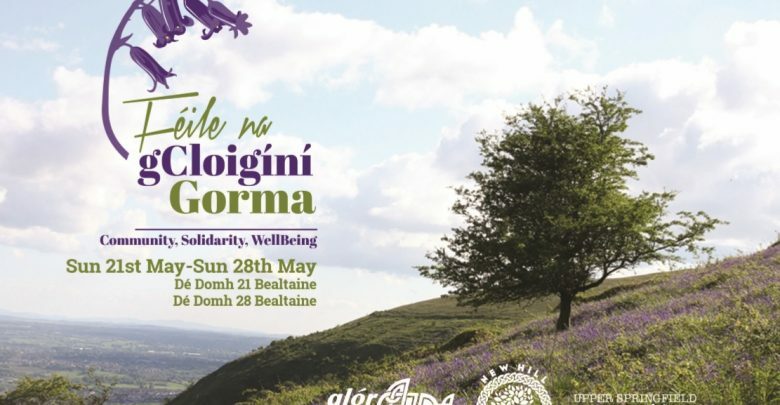 Gach bliain i mí na Bealtaine, bíonn Páirc na Tua ar an tSliabh Dhubh ag bláthú le cloigíní gorma dúchasacha a bhíonn mar chomhartha do phobal an Uachtair Chluanaí go bhfuil an samhradh buailte linn. Tá muid ag úsáid shiombail na gcloigíní gorma le cur i gcuimhne do dhaoine áitiúla maidir le haoibhneas an tsaoil, a dtimpeallacht nadúrtha, tábhacht na sláinte agus dlúthpháirtíocht phobail! Thit na himeachtaí seachtaine amach idir an Domhnach 21-28 Bealtaine agus i measc na n-imeachtaí beidh siúlóidí, léachtaí, spórt, rothaíocht, iascaireacht agus a thuilleadh eile. Tosóidh an tseachtain le Gaeil áitiúla agus iad in iomaíocht i gcomórtas peile seachtar an taobh agus cuirfear deireadh leis an fhéile seachtain ina dhiaidh sin le rás agus le siúlóid iomráiteach an tSléibhe Dhuibh. Bhí imeachtaí saor in aisce ann gach lá i rith na seachtaine mar aon le taispeáint Hillsborouogh, an clár faisnéise a bhfuil neart duaiseanna buaite aige, le plé ina dhiaidh leis an Ollamh Phil Scraton, príomhúdar thuairisc an phainéil neamhspleách. 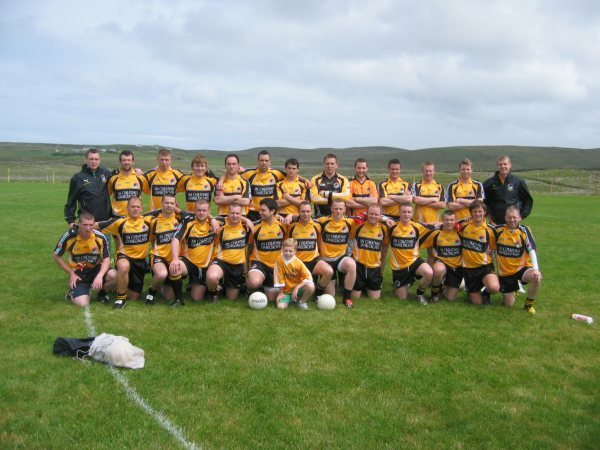 Buíochas libh at fad a bhí linn ag bricfeasta pobail na bpantar dubh, a thóg amach bhur rothar thart ar Bhéal Feirste, a rith ar an tSliabh Dhubh, agus shiúil i bPáirc na bhFál. Cuireann muid fáilte do chách, idir óg agus aosta, le himeacht ón teach, meon na hiargúltachta a bhriseadh, anáil úr a thógáil sa nádúr, agus páirt a ghlacadh san féile iontach seo sa bhliain 2018!